It is amazing what can be done with technology and electronics today. It has proven to be such a big boost for those researching about their families. Just the other day, a young fellow had a school project to do his family tree. Using several databases on the Internet as well as information done on a web site by one of his relatives, he was able to successfully work on this project and had FUN doing it. That might not have been as possible 15 years ago. So there are positive results in using the technology that is being developed (very fast) and sharing your own findings with others. Setting up a web site with the family photos and information is great as well as placement of the data on the numerous family sites such as Family Tree Maker. Google is also working to advance the technology to help people in countless pursuits, including genealogy. 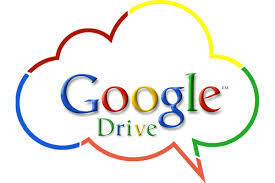 Using the ‘Google Drive‘ just might be your next step. Follow the basic, simple instructions using the tabs at the top. On the information site, you get 15 GB of free storage space. That’s important just in case you computer hard drive ‘crashes’, causing you to lose your information. No just text, but photos, videos, and other documents can be safety saved. It can be achieved, after setting up your Google Drive, by simply dragging the selected photos (their folder) and documents to the Google Drive Folder. If you use a mobile tablet or device and set up the app, then you have all those photos and documents at your fingertips also. One great feature is the Google Drive can recognize a key word or photo from a folder of photos or a certain word in a document, helping you find the file quicker. Any changes you make to a file is saved immediately and is permanently there for you. All of this new technology is to help you keep your work and memories preserved.